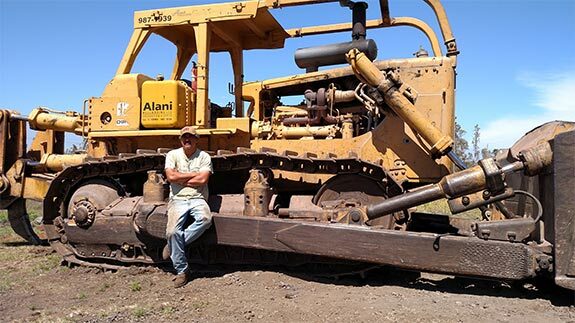 Alani Bulldozing, LLC is Pahoa, Hilo and Keaau Hawaii’s first choice for excavation and septic system installation. Family owned and operated, we have been proudly serving the island of Hawaii for 25 years. Call us today to learn more about the services we can provide. Finding a quality and affordable excavation contractor here in Pahoa, Hilo and Keaau Hawaii can be a difficult task. Because we’re fortunate enough to have moist, fertile land, a lot of excavation work is often needed. But that same good fortune of wet land also makes the job of bulldozing and excavation much more difficult, and there are few truly masterful excavators here who are up to the task. However, there is one contractor that can handle any and all excavation in Pahoa, Hilo and Keaau Hawaii in a quick and inexpensive manner. That contractor is Alani Bulldozing, LLC. We’ve been serving the entire island of Hawaii since 1990, and we look forward to taking on many more challenging land clearing jobs in the years to come. We are a locally owned and operated small business in Pahoa, Hilo and Keaau Hawaii. Our family has been in the excavation business for a quarter of a century. We can provide both excavation and septic system work. We strive to deliver affordable and competitive prices. Whatever your excavating or septic installation needs may be, you can count on Alani Bulldozing, LLC for great service. and the entire Island of Hawaii.